The City of Chula Vista has been a leader in building livable communities through policy and infrastructure planning efforts and further committed to building programs and partnerships to address community health through the adoption of the first Healthy Chula Vista Action Plan on January 5, 2016. The plan identifies seven focus areas and over 60 strategies to concentrate city efforts to Engage community and stakeholders partnerships, build stronger Land Use policies using a holistic health perspective, build better Transportation networks that encourage people to use alternative transportation and access assets, encourage better access to Healthy Food, increase Physical Activity of residents, address Health Care and Prevention inefficiencies, and raise awareness of Environment Quality inequities and conservation of our natural resources. Through the Healthy Chula Vista Action Plan a number of strategies were identified to increase healthy options and improve livability in the community. 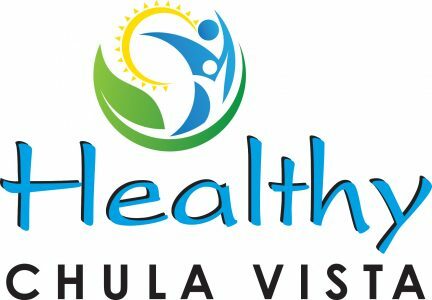 The western portion of the City of Chula Vista is expected to see a higher increase in the 55-74 year old age group (9.9%) then the region (8.3%) and a higher increase in the 65-74 year old age group in the western portion of the City (4.6%) than the City as a whole (3.8%) over the next fifteen years. Entrance into the Age-Friendly Network will focus efforts to develop implementation measures and increase livability for all ages to address these shifts in population. The City of Chula Vista provides numerous recreational classes through the Department of Recreation and is involved in an array of senior services, most based out of the Norman Park Senior Center. In coordination with the Recreation Department the existing Commission on Aging, a group of community volunteers, provide a forum to discuss and make recommendations to City Council on matters that affect older residents.